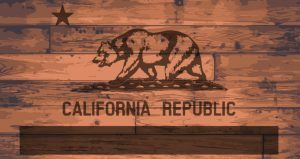 The California Growers Association (CGA) has dropped a lawsuit it filed a year ago against the state over a regulatory loophole that allowed commercial-scale cannabis farms to begin operating in 2018. The suit’s dismissal was first reported by the Sacramento Business Journal. The case, which never gained much traction in court, focused on a sudden change in course by the CDFA in late 2017 when the agency decided to allow cannabis companies to obtain unlimited numbers of “small” MJ grow permits. Such licenses have a maximum capacity of 10,000 square feet – essentially opening the door to immense cannabis grows. That allowance, the lawsuit argued, was contrary to Proposition 64, approved by California voters in 2016, which prohibited any “large” cultivation licenses from being issued by the state until 2023. “Medium” cultivation permits allow for grows between 10,000 square feet and an acre, but those are still limited to one license per company. Since the loophole went into effect early last year, plenty of growers have obtained scores of “small” grow permits to build out large-capacity marijuana farms. That’s happened most notably in Santa Barbara County, which has emerged as an MJ cultivation epicenter in California. Forget prop 64, California has just finished writing cannabis regulations that will cause our prop 64 to fail. It is failing right before our eyes. No worries though, the black market will supply the consumer just like it always has. Here’s the likely bottom line to this: The CGA was never really behind the small cottage grower/cultivator. The people that took the most risk and started the whole thing. It seems as if the CGA was a lead “front” organization/association tricking the 99% that they were going to be part and the leading edge this charge for the opportunity to get square with the state’s new law ( and gladly taking their money in association due/fees, etc.. in the process ). In essence, it seems as if the GCA was an integral part of the bait and switch tactic. Meaning, the GCA was MUCH more in bed with agencies such as the CDFA and others than they let on to their many years members. A huge betrayal; and betrayal of trust. They were following the big money the whole time. The two reasons for the abandonment mentioned above speak for themselves: It was all BS out the gate. Now, GCA, people like you have given the 99% even less reason to come back out “into the light,” should some other association or any other type of organization pop up with promises to their bidding in any form. Which further recesses this group ( whose intentions were the most noble of the whole lot ) into the shadows/black market. They’re now back to pre-1996 days. Da*n you, GCA.